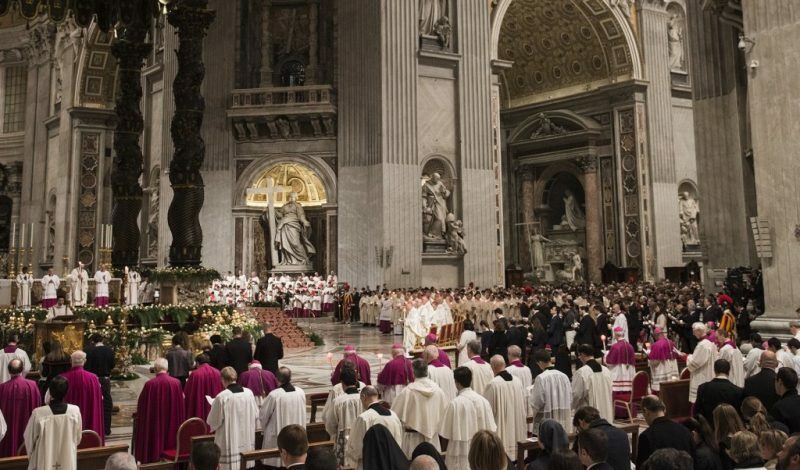 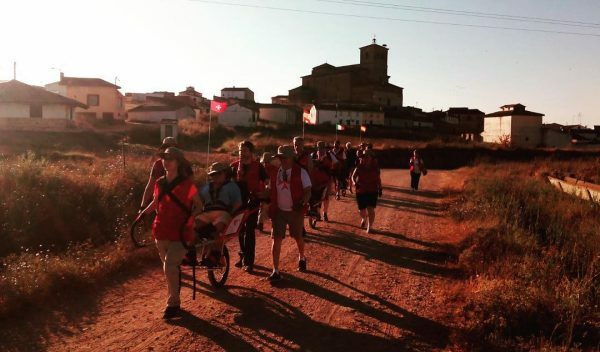 The Order of Malta’s history has for many centuries been linked to the pilgrimage route to Santiago di Compostela where the remains of the Apostle James the Great are buried. 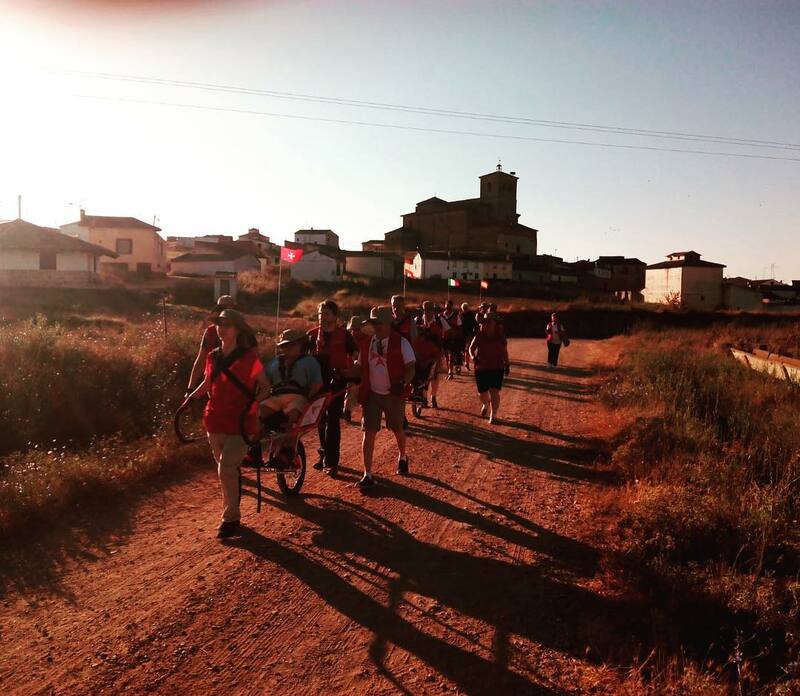 From ancient times, the knights have offered accommodation and healthcare in hospitals, convents and churches to pilgrims along their journey. 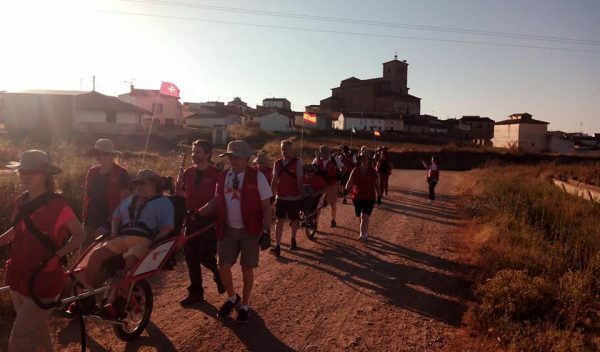 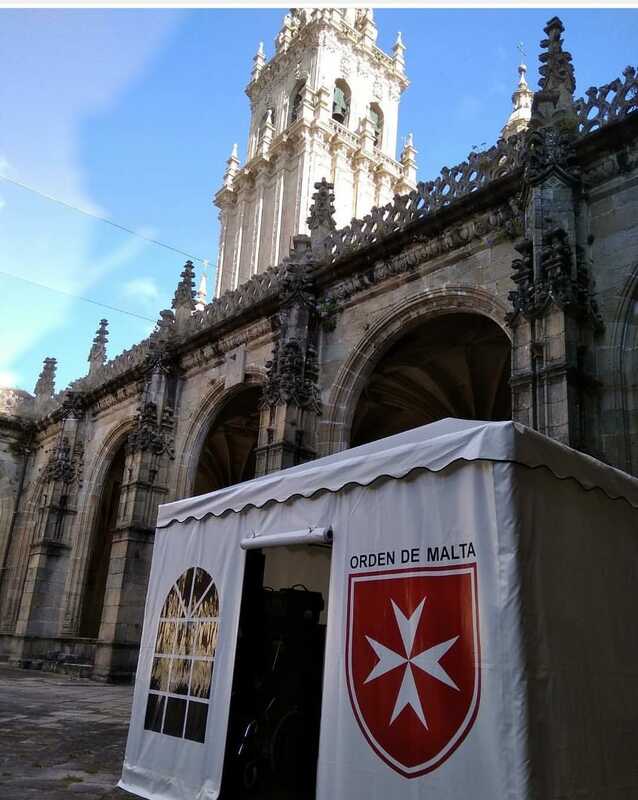 The Order of Malta’s Spanish Association still keeps this tradition alive by assisting pilgrims travelling to Santiago di Compostela. 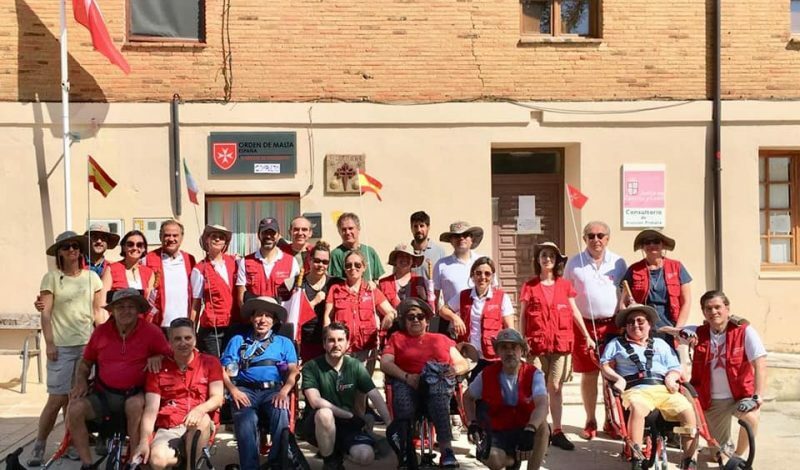 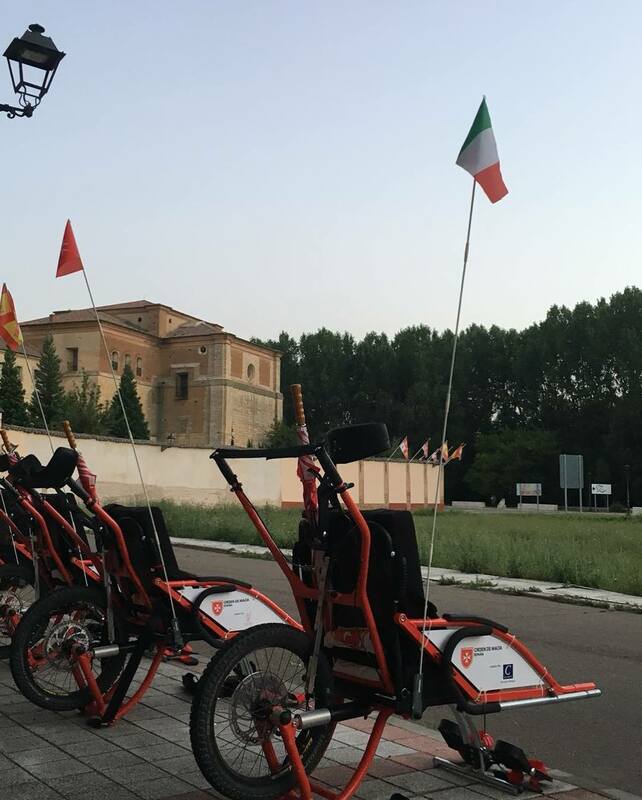 One of its volunteers’ latest initiatives is the organization of a pilgrimage for the disabled called WOW (Way On Wheels) during August. 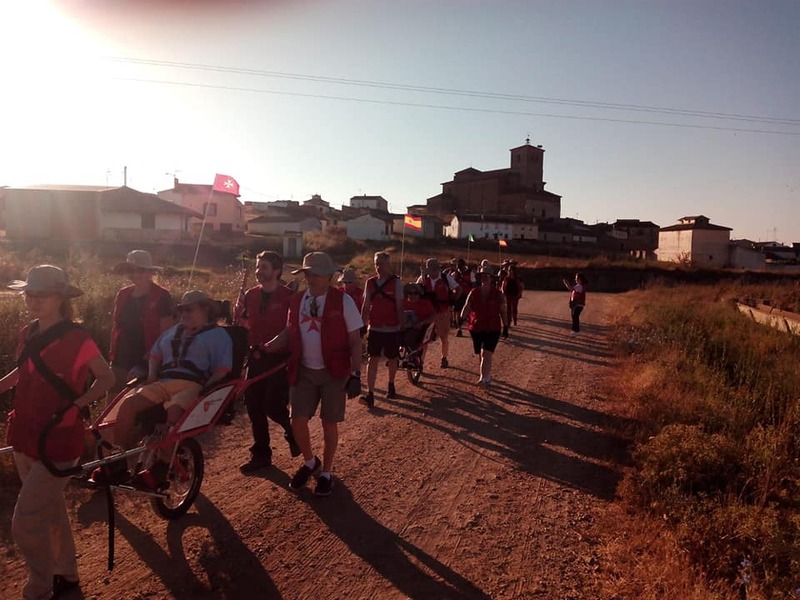 A genuine Way of St. James divided into seven stages over a distance of some 68 miles along the Camino Francés, the most important and famous of the routes leading to the cathedral of Santiago di Compostela. 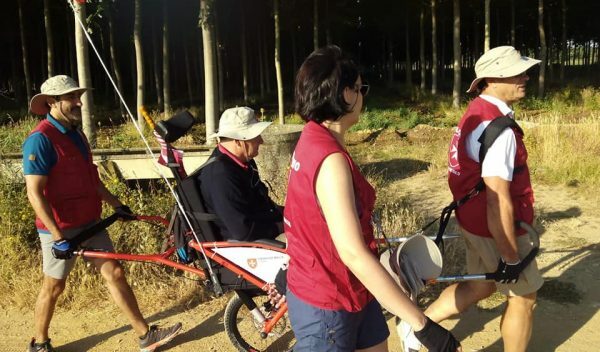 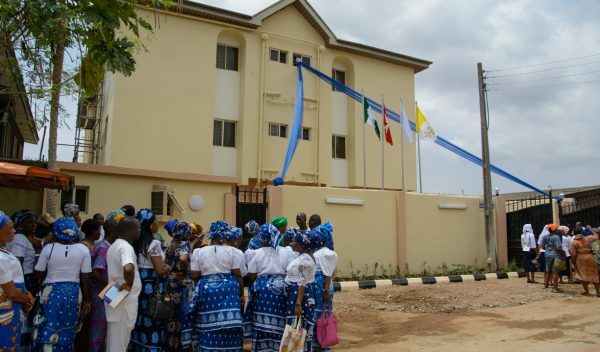 The plan is to provide assistance to people with physical disabilities who can only undertake the Way in a wheelchair. 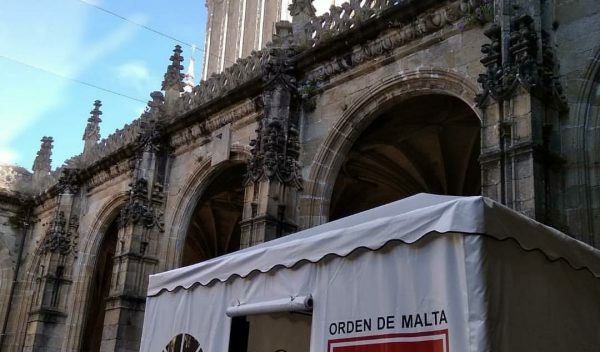 The various stages involve places closely connected to the Order’s history. 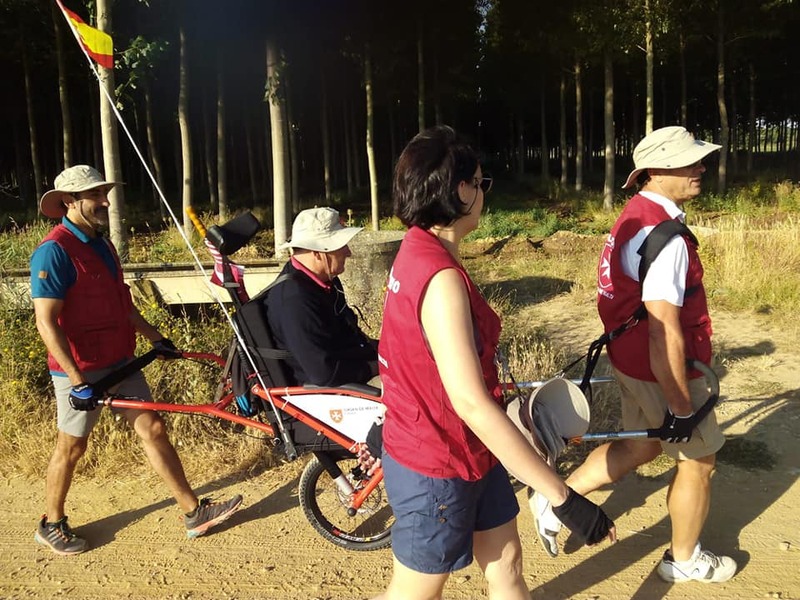 This project was made possible thanks to the use of single-wheel off-road wheelchairs, enabling volunteers and disabled people to travel even on dirt roads. 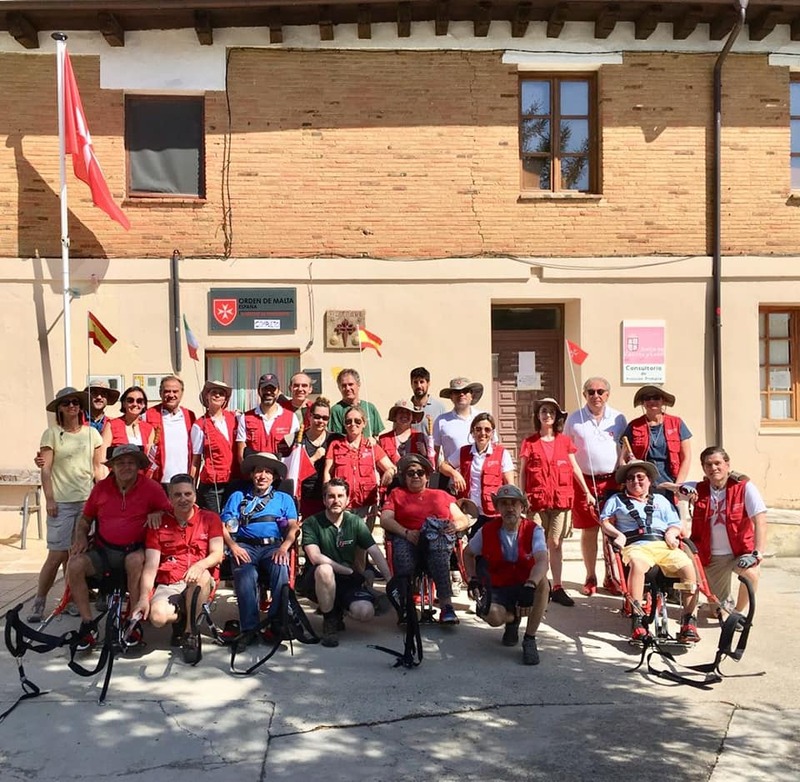 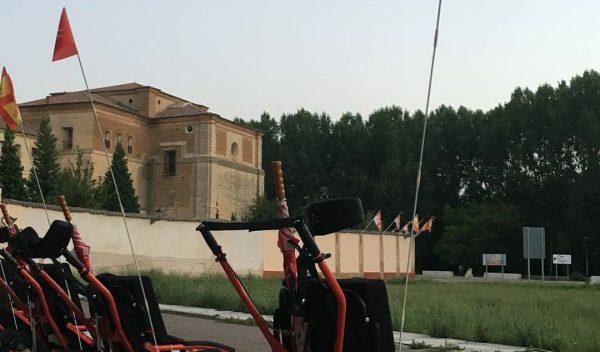 The departure is from Villalcázar de Sirga, where the Order of Malta has a hostel, inaugurated in 2017, for pilgrims with reduced mobility. 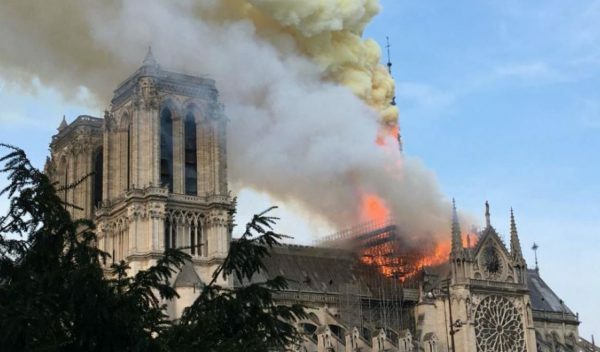 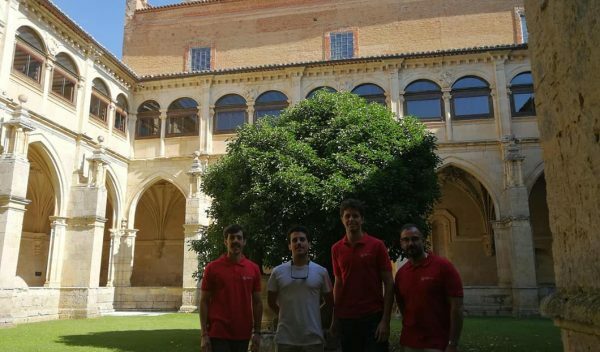 The entire structure is totally accessible, with no architectural barriers, and can accommodate up to 20 people. 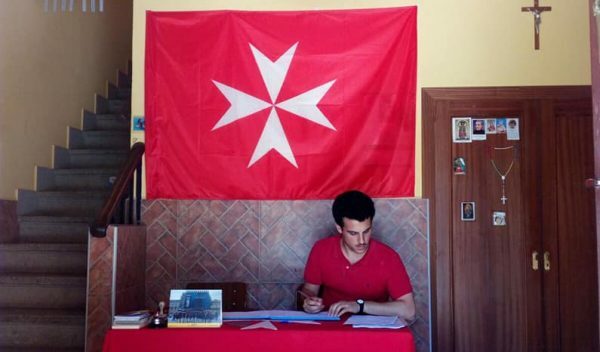 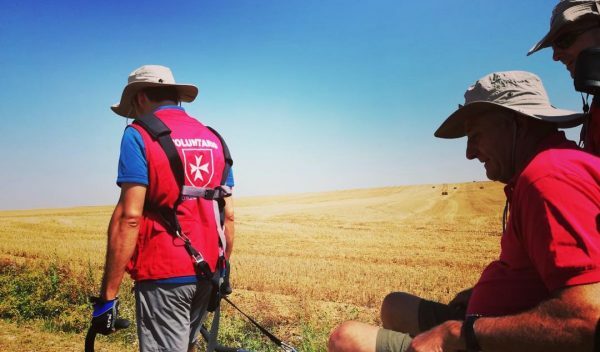 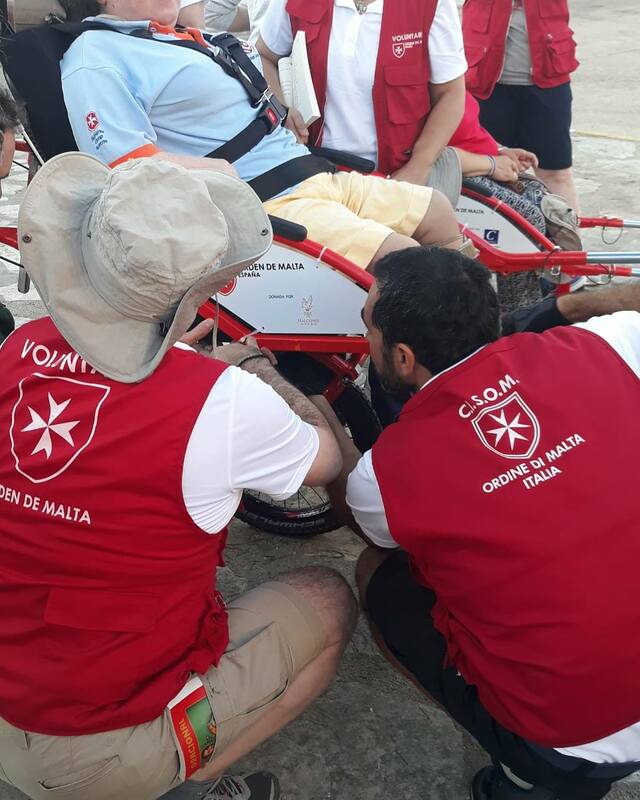 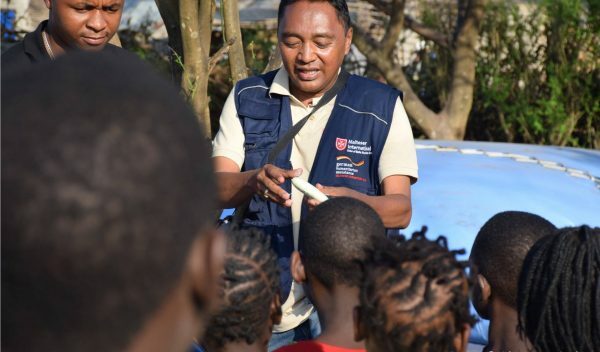 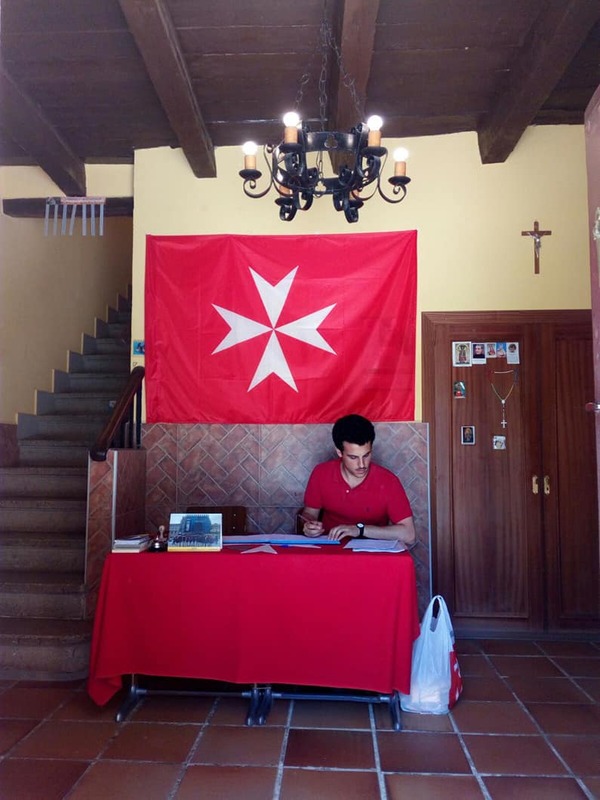 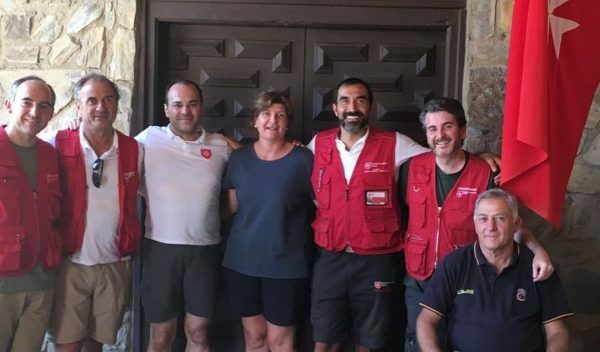 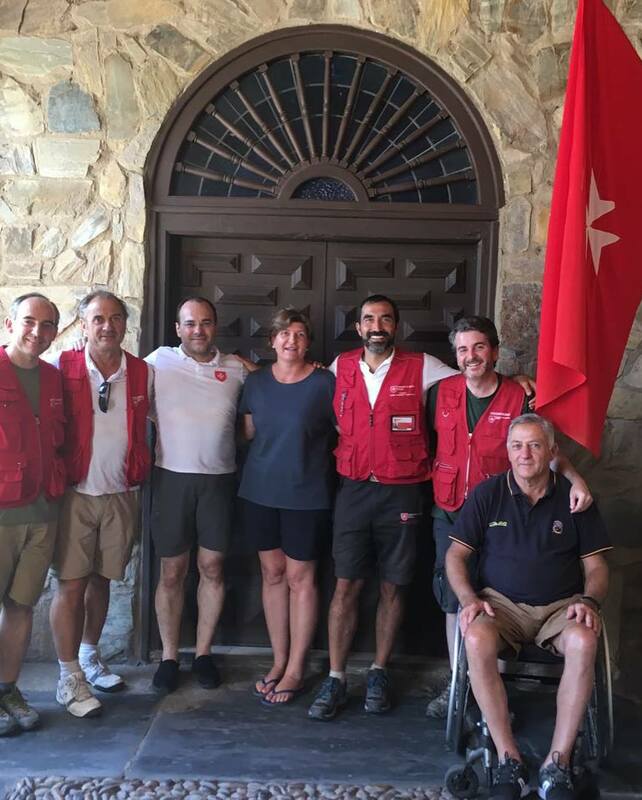 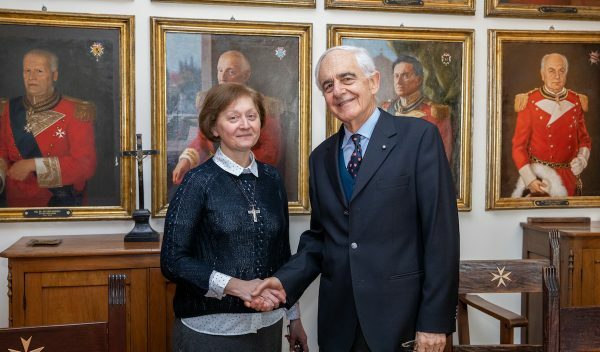 The volunteers offer their services from May until the end of September, demonstrating that spirit of solidarity that has always characterised the Way of St. James and the Order of Malta’s mission of assistance and hospitality. 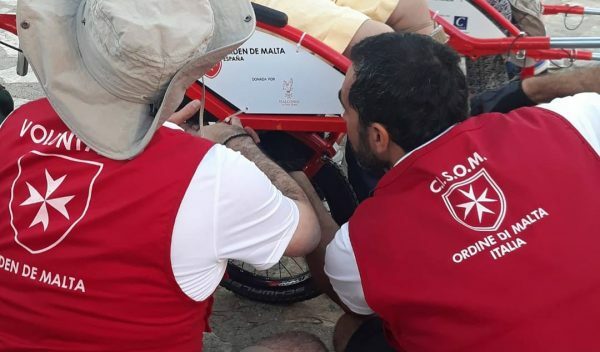 The Order of Malta’s Spanish Association is also present in another two places along the Way. 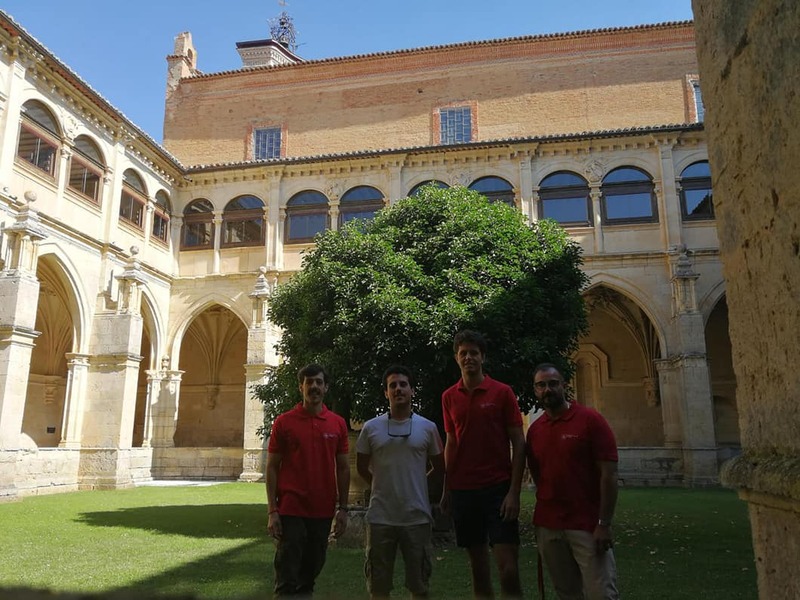 It manages a hostel in Cizur Menor a few miles from Pamplona in the middle of the Way and has a first-aid post in the cloisters of the Cathedral of Santiago, where a team of volunteers and nurses provide healthcare to pilgrims.